Industrial designer who received a BID degree in 1970 from Syracuse University and began his career as director of design for Instrumentation Laboratory, Inc., a medical devices firm. While working, he studied at and graduated from Boston Architectural Center in 1978. In 1983 he left Instrumentation Labs and co-founded Design Continuum in Boston, of which he is currently president and CEO. 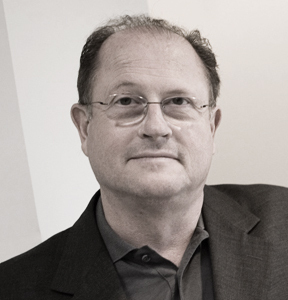 His firm, which has offices in Boston, Milan, and Seoul, developed the $100 laptop for MIT’s Media Lab, and has received global recognition including a Presidential Design Award from President Clinton; the Compasso D’Oro in Italy; the Red Dot and iF Awards in Germany; and numerous awards from IDSA and Business Week. He is chairman of the board of directors of the Design Management Institute, and on the Board of Advisors to the College of Visual and Performing Arts at Syracuse University. He is also a Visiting Lecturer at the SDA Bocconi School of Management in Milan, Italy. In 2007 he received an honorary doctorate from North Carolina State University, and in 2009, a similar honor from Syracuse University.